﻿ KONTRAC PN60MS – KONČAR Elektronika i informatika d.d. KONTRAC PN60MS is used as the power supply for all consumers in modern air-conditioned coaches on European railways. 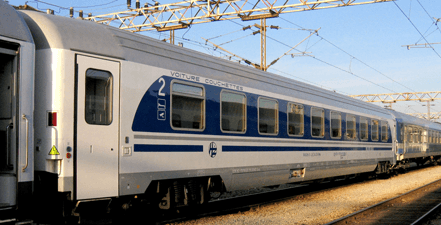 It is powered by any of four UIC voltages and serves as the source of electric energy for the coach air-conditioning system, all single-phase and three-phase consumers, as well as for charging batteries and power supply of all DC consumers onboard a passenger coach. Switching to another UIC system is performed automatically and without external supervision.